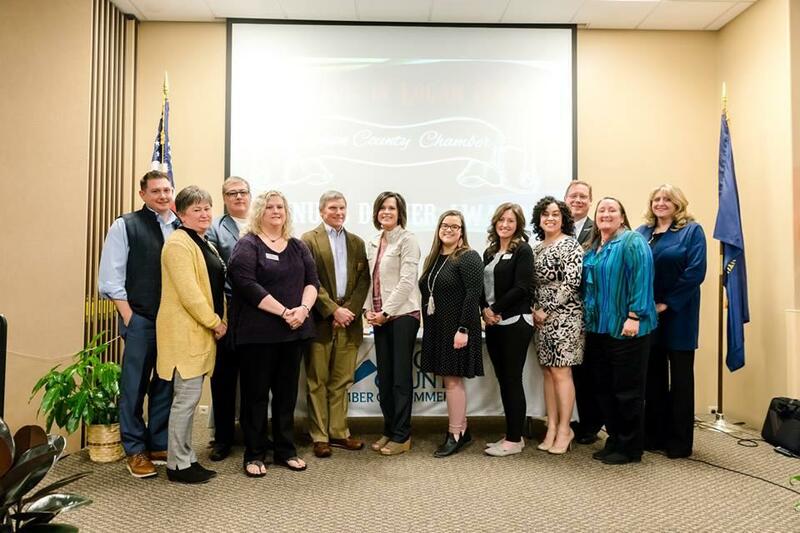 As part of its annual dinner and awards program March 12, the Logan County Chamber of Commerce honored several groups. Descriptions follow. • • Past President Joe W. Hendricks, Jr. of Brooks & Hendricks, PLLC. Chamber board members have to sit out at least one term after reaching their on consecutive terms. 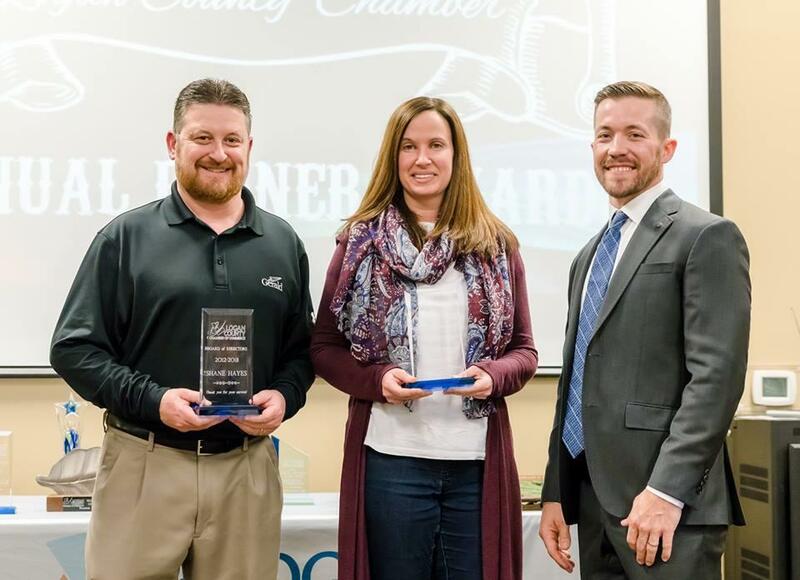 Exiting this year are Shane Hayes of Gerald Printing, Kristin Herndon of Logan Telphone Cooperative and Dr. Thad Wells of Logan Eyecare. 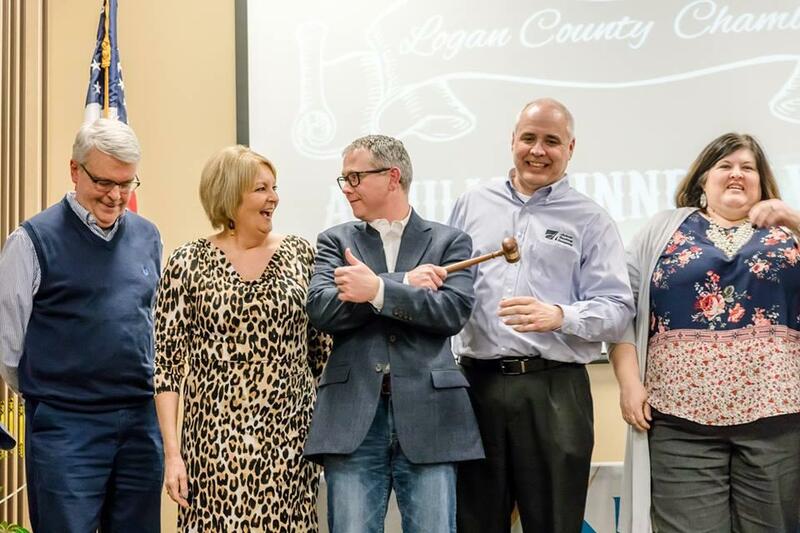 All past presidents of the Logan Chamber were invited to the stage for the annual Passing of the Gavel. They ranged from Logan County Judge-Executive Logan Chick, who was a grocer when he served as president in the early 80s, to current president Ethan Holloway. 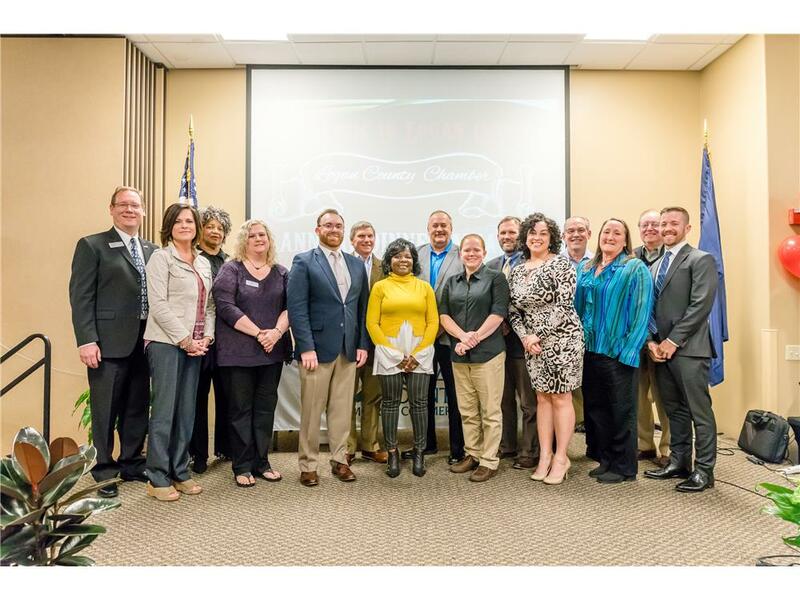 Shown in the photo, from left, are Judge Logan Chick, Mark Reynolds, Hughes, Chris McGinnis, Brian White, Holli Black, Shane Hayes, Joe Hendricks, King Simpson, Mandy Henley, and Ethan Holloway. 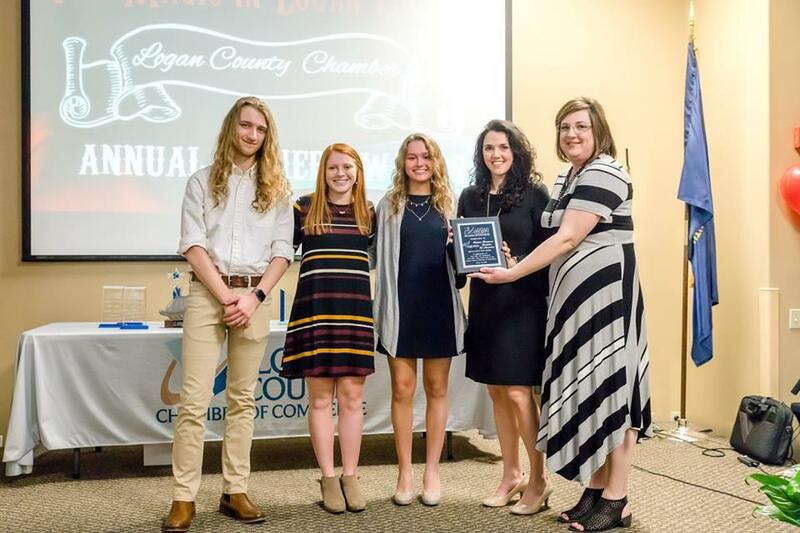 The Logan County High School Future Business Leaders of America produced a promotional video this year about the work done by and the importance of the Chamber to the community. Among those interviewed in the video—which was played for banquet attendees—are Chris McGinnis, Evelyn Richardson, Myla Porter, Brent Summers, Polly Cowan Steenbergen, Brandon White, Kathy Edmonds, Cheryl Baltzell, Dee Dee Brown and Karen Logan. TEDS Coordinator, and Business Multimedia Teacher. • Sandra Kinser of Auburn Banking Co.
Morgan Vick of Crabtree Furniture. Morgan served as our 2018 Festival Committee Chair. She went above and beyond to lead our Committee to ensure all was well during Festival. We appreciate her time and dedication to serve in this capacity.